What is the Museum of Science and the Cosmos officially? 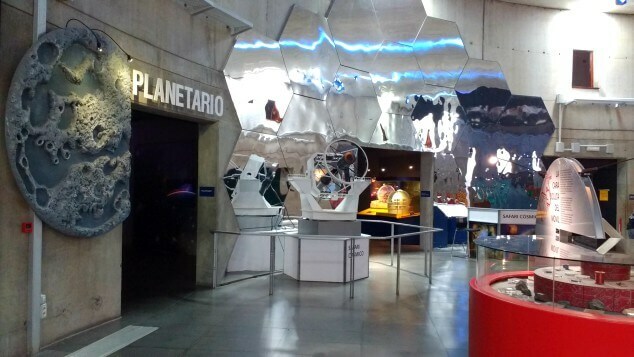 The Museum of Science and The Cosmos (Museo de la Ciencia y el Cosmos/MCC in Spanish) describes itself as a unique place that’s nothing like a traditional museum. It’s part of the modern group of science museums that no longer want to just show off scientific achievements from a set period of time. They want to make science more fun and approachable for everyone by using interactive displays, exciting experiments and a variety of multimedia tools. 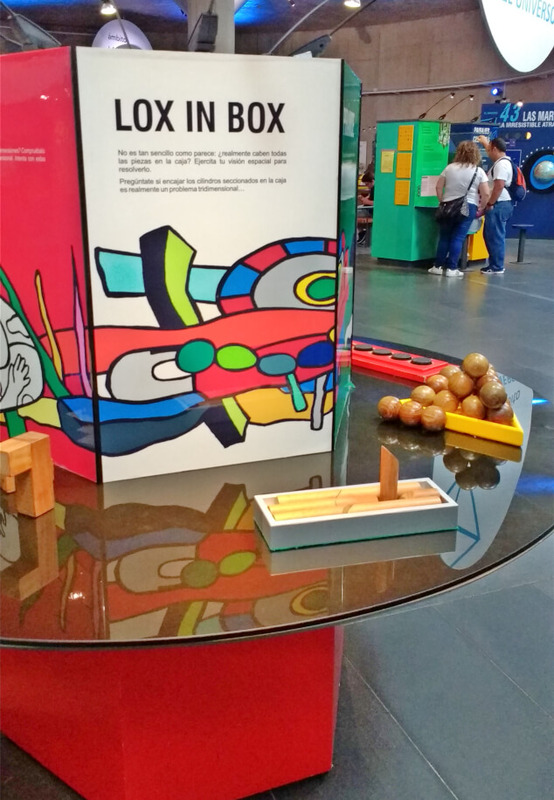 Not a place to simply wander and look at stationary objects, The Museum of Science and The Cosmos looks at the questions generated by scientific evolution, proving that science can boost the imagination and stimulate the senses of people of all ages. It’s a source of inspiration and evokes emotions that encourage a permanent sense of curiosity. Attractions at the museum include temporary exhibits, informative talks, planetarium sessions, educational workshops, scientific film debates, astronomy camps and special event evenings. What is the Museum of Science and the Cosmos really? The Museum of Science and The Cosmos does pretty much what it says on the tin. Displays are divided into various sections, each with a different theme. Most exhibits are accompanied by a small write-up encouraging you to get involved. There are all sorts of topics covered, from testing your body’s reactions and challenging the laws of physics to diving into cosmology and proving you’ve got some good ol’ common sense left in you. There’s no dull guide with a dodgy microphone to follow and although there is a suggested route posted at the beginning, you can wander around the displays however you want, which is a nice touch. And despite the museum’s very small size (there’s only one main room) there’s plenty to keep both adults and children entertained for hours. Just don’t expect a world-class museum that’s had endless funding ploughed into it. There’s one website that describes The Museum of Science and The Cosmos as “a unique place – a mixture of a traditional museum and a theme park” which is every bit as misleading as it sounds. Let’s face it, science is really dull on the whole, except for Star Trek, ‘cos that’s real. Having already experienced the likes of the Science and Natural History museums in London, I was sure that this smaller low key attraction was going to be rather a disappointment. So did it compare to the great national museums? Of course it didn’t, but that’s because no real comparison can or should be made. 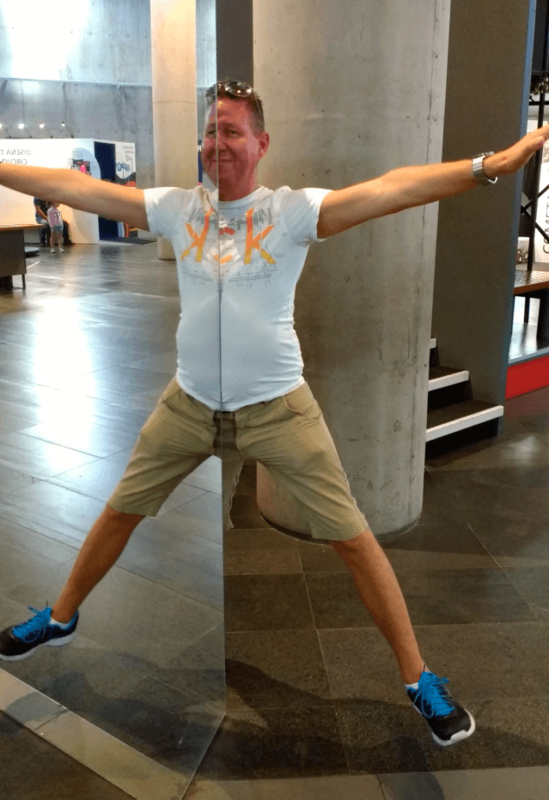 The curator has obviously realised that to compete would be rather a foolhardy task and so has cleverly taken the museum down a much simpler path. The first problem I faced is that it’s pretty much all in Spanish. 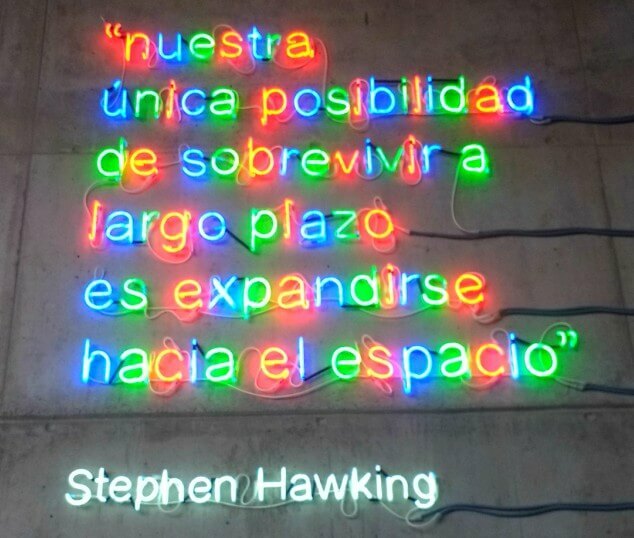 Which is a little bit naughty, because even if you’re fluent in Spanish, it’s unlikely that after you learnt how to give directions to the train station you moved straight onto Einstein’s Theory of Relativity. All is not lost, however, as the explanation plaques are small so the Google Translate camera app thingy on my phone was legendary. Until my battery went and then I just got Nicky to read it all. We went on a Sunday, for 2 reasons – 1: it’s my day off and 2: no school trips. The few kids that did turn up later on were pretty annoying and I doubt I would have coped if a school bus full of unruly children had piled in. I really underestimated this place as I spent and enjoyed about 4 hours here.1 hour just trying to solve 5 not-so-simple puzzles. Did I learn anything? Probably not. But who cares? 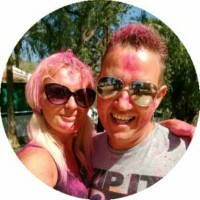 It was fun and a cheap day out. And I did manage to find the giant black ring in the end. Spoiler alert! I’ve got a really short attention span and when I saw the Museum of Science and The Cosmos was literally one room, I thought I’d be moaning to go home in 30 minutes. But they’ve managed to pack a surprising amount into a small space. Like Ian said, the language barrier could pose a problem if you’re not a strong Spanish speaker, but a lot of the time it’s pretty obvious what you’re meant to do without any instructions. There are a few museums over here that look like they haven’t been updated since the 1970s. So I was expecting this one to be full of stuff I’d seen before or already knew. But I learned quite a bit! Like what happens if you hold a spinning bike tyre and stand on a platform which has the potential to revolve. I’m not quite sure how I’ll apply that knowledge to my everyday life, but I’m sure it’ll come in handy at a pub quiz one day. There’s no cafe for when you need to take a break from the nerdy stuff. But there is a small seating area next to two vending machines. It looks a little weird, but it does the job and it’s cheap! 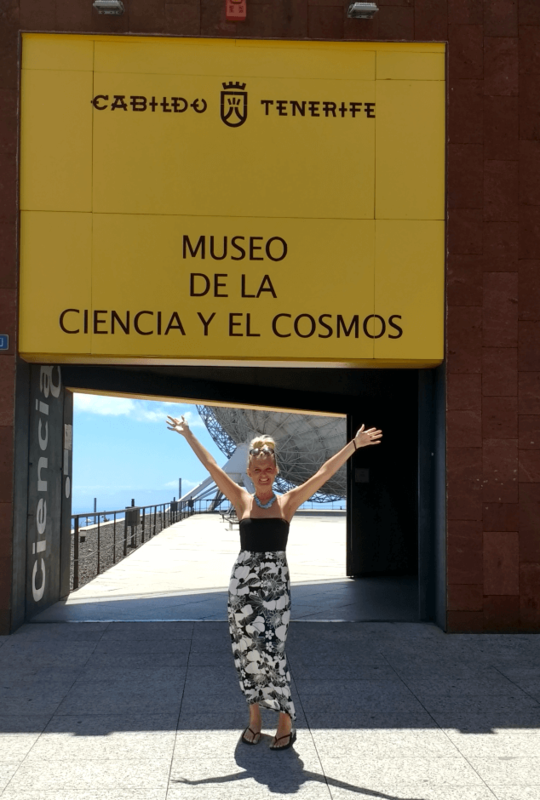 As far as things to do in Tenerife go, I definitely recommend the Museum of Science and The Cosmos as a family afternoon out if you’re fed up of the usual sun, sea and sand stuff. There’s plenty to keep the kids entertained and no gift shop for them to empty your pockets at the end. Each Friday and Saturday between 4pm and 8pm the museum is free. You don’t need a special coupon or anything like that. Just show up any time after 4pm and you’ll get to walk in without handing over any cash. For an extra €1, you can watch one of the 4 Planetarium shows which are shown in a little room off the side of the main museum on the hour between 11am and 2pm. All these shows are exclusively in Spanish. 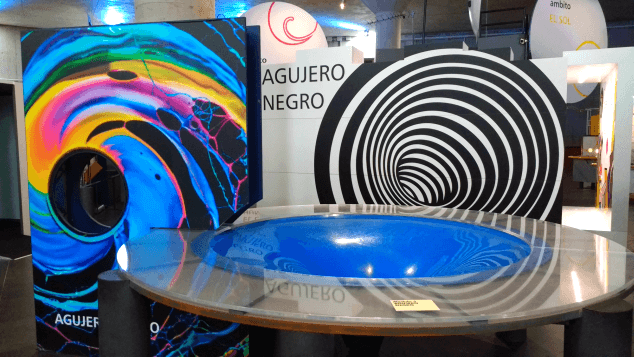 The films projected onto the domed ceiling are said to be really immersive and still enjoyable, even if you can’t speak Spanish. But if you’re already annoyed by the lack of English signage, you might want to reconsider paying extra for the shows. Please check the official Museum of Science and The Cosmos website before you go for the latest opening hours and prices. The Museum of Nature and Man – everything from beautiful collections of butterflies to ancient royal mummies.